In two tall, clear glasses, add 1 tbsp of lemon juice each. Next, add 2 sprigs of mint to each glass. Alternate, adding a lime slice, then an ice cube, then a lime slice (layer it ) in each glass . Note : If you are making this for many people, then combine all the ingredients in a big bowl and serve chilled in glasses. 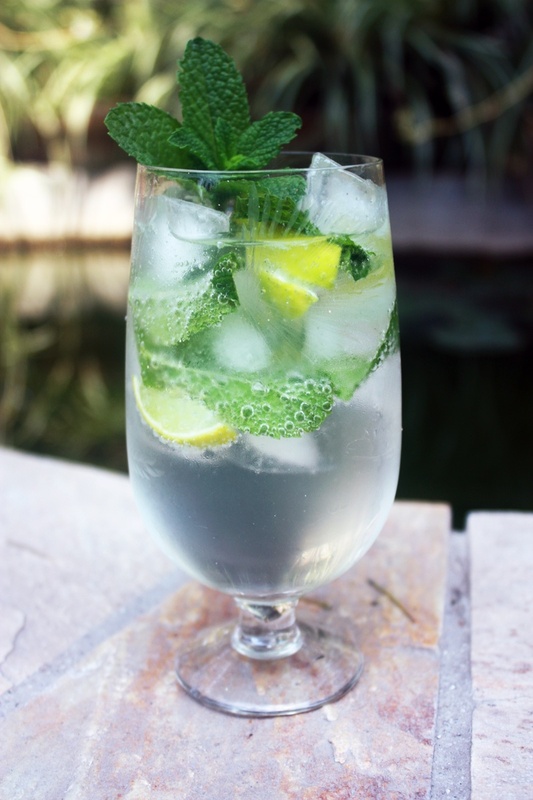 This entry was posted in All Recipes, Drinks, Summer Cocktails and tagged mojito, non-alcoholic cocktail, sprite, Summer drink, virgin mojito by Kamakshi. Bookmark the permalink.